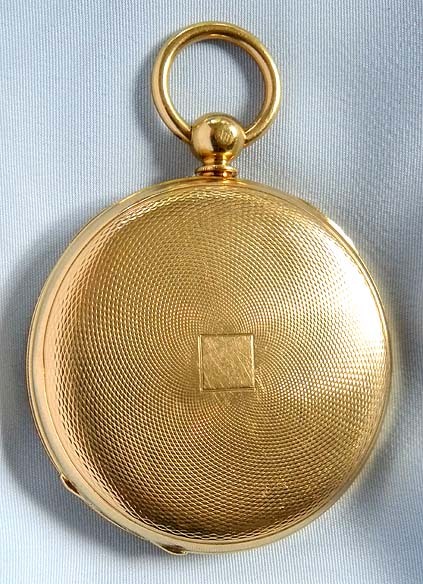 Fine and very rare slim French 15-day 18K gold antique pocket watch by Bontard, Paris, circa 1860. 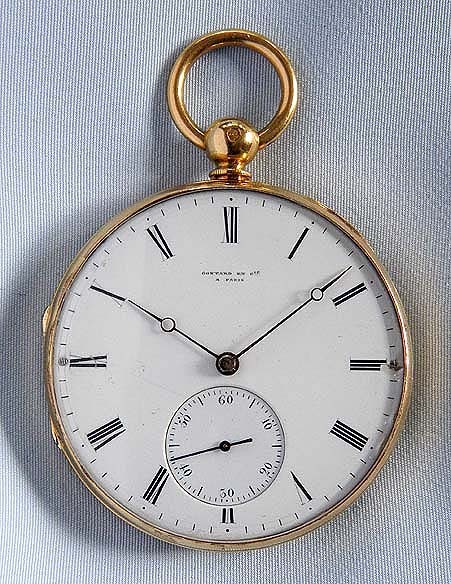 White enamel dial (clean hairlines and chips at III) with blued steel Breguet hands. Engine turned case. 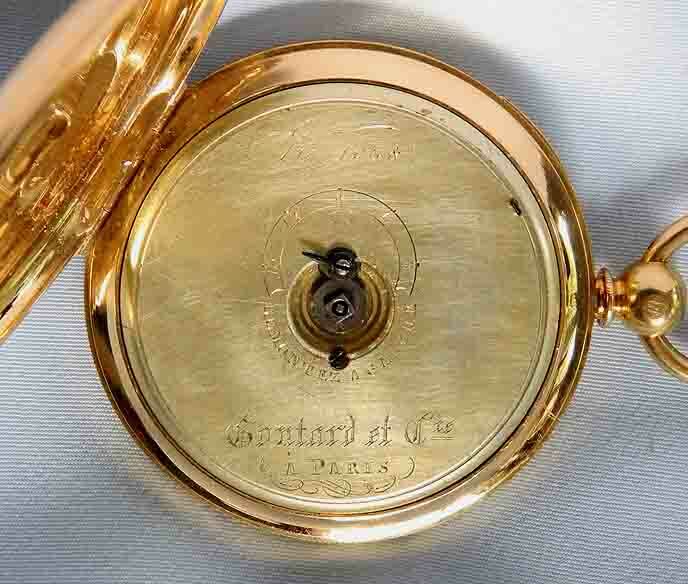 Gilt 14 jewel cylinder movement.